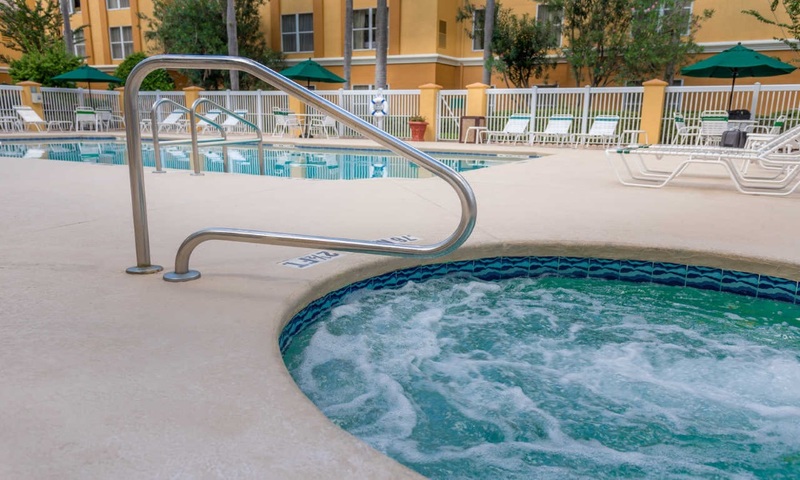 Enjoy the best combination of cozy accommodations, friendly service, wonderful amenities and affordable prices at the Quality Suites Lake Buena Vista, near Walt Disney World. 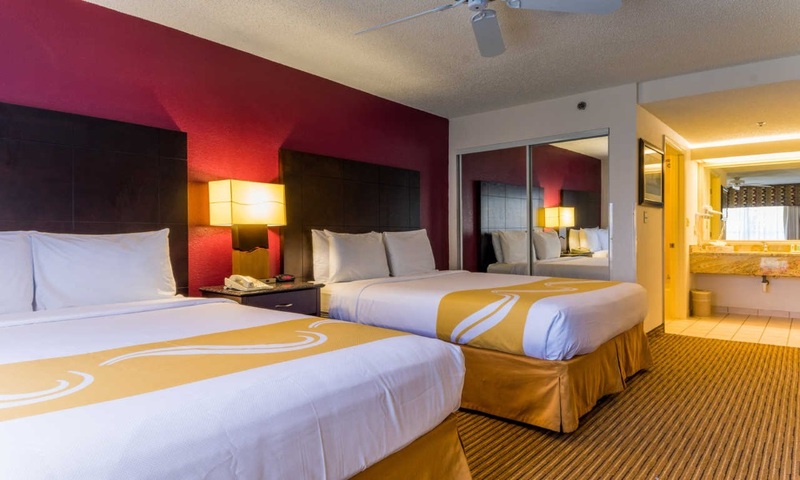 Choice Hotels values business travelers. 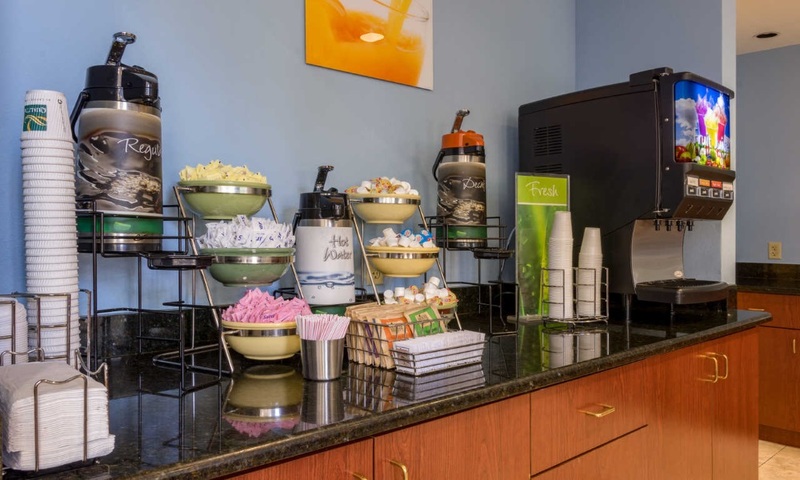 That's why we offer special services and amenities to cater to your unique business needs. 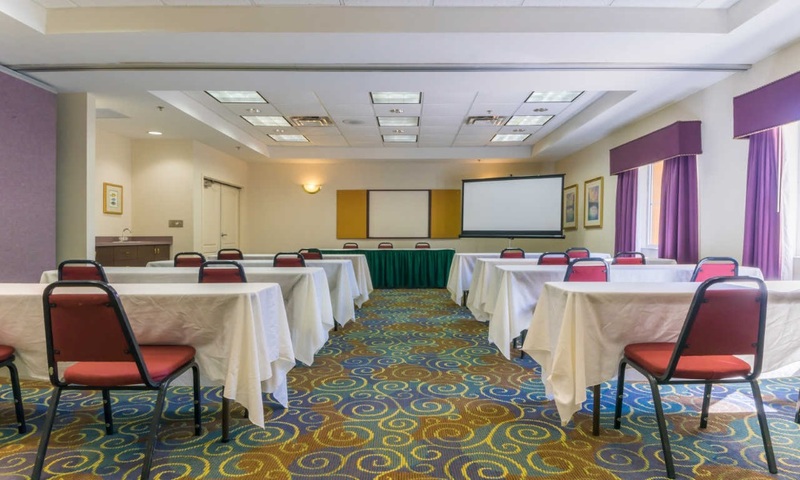 For your convenience, banquet and meeting rooms are available, as is a business center with copy and fax services, making this an ideal business trip hotel as well. 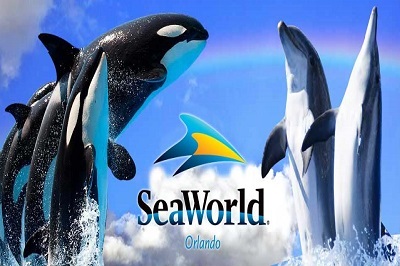 Orlando is the entertainment capital of the world and the number one tourist destination. For thrill seekers and parents wanting to spend quality time with their kids, Orlando means just one thing, action. 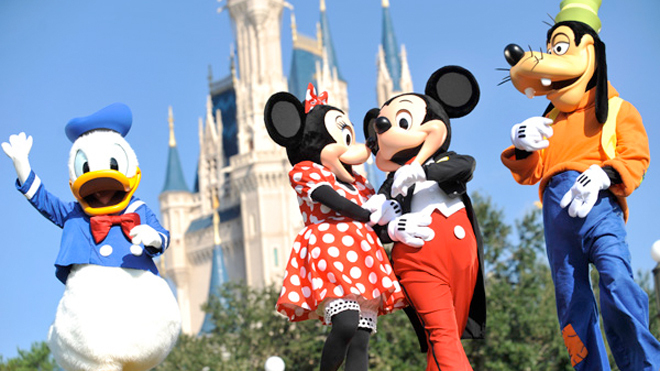 There are beautiful sculpture gardens, botanic gardens, art museums, and inner city attractions in Orlando, but most people come to visit theme parks. They are scream provoking, laugh inspiring and educational. This city has so much to offer in just ONE visit! 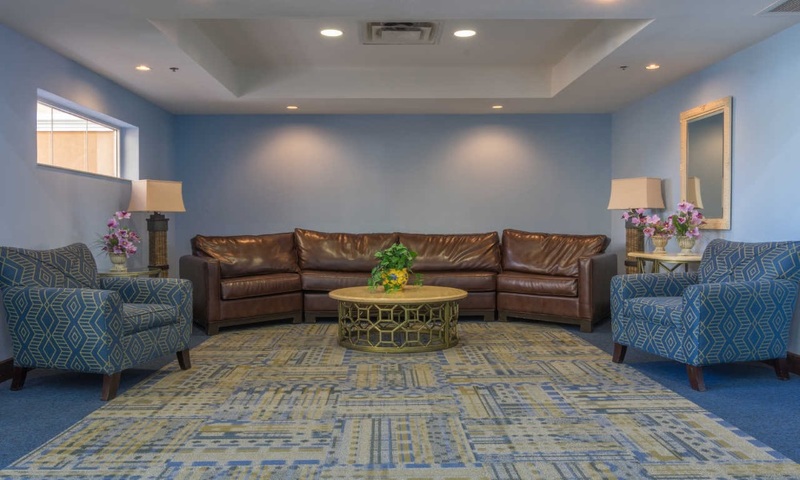 You will feel at home from the moment you step into our hotel. 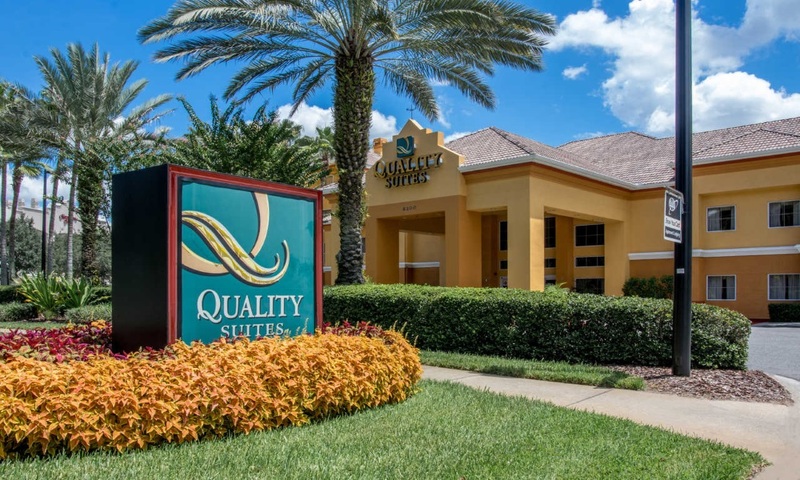 At this Quality Suites, in Orlando, you can enjoy amenities such as: Free WiFi, full breakfast, free shuttle to Disney theme parks, outdoor pool, exercise room. 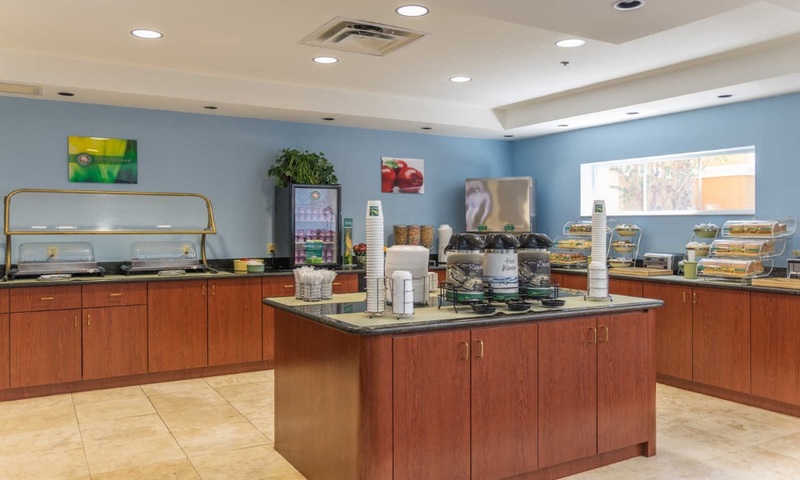 Relax in our inviting guest suites, all of which feature fully-equipped kitchens with full-size refrigerators, microwaves, stoves, dishwashers, coffee makers, utensils and two TVs. Calling all foodies. There's a wonderful, vibrant food scene in sunny Orlando. 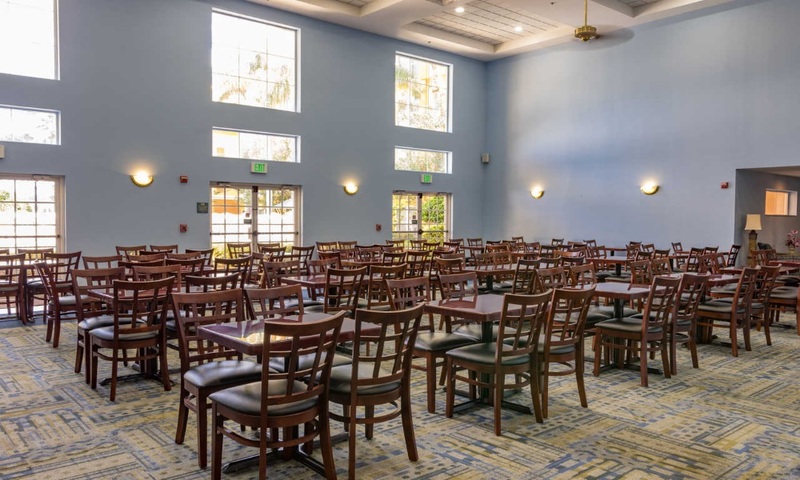 You'll find plenty of restaurants throughout the area, such as Coral Reef Restaurant, BJ's Restaurant & Brewhouse, Golden Corral, Be Our Guest Restaurant, Q'Kenan Restaurant and Gilson's Brazilian Restaurant. Are you looking for great shopping and a fun atmosphere? World-class shopping is conveniently close to the hotel, with several malls and outlets to choose from. The Florida Mall, Orlando Outlet Market, Thorton Park, The Mall at Millenia. Vacations are a much-needed, well-deserved break from life at work. 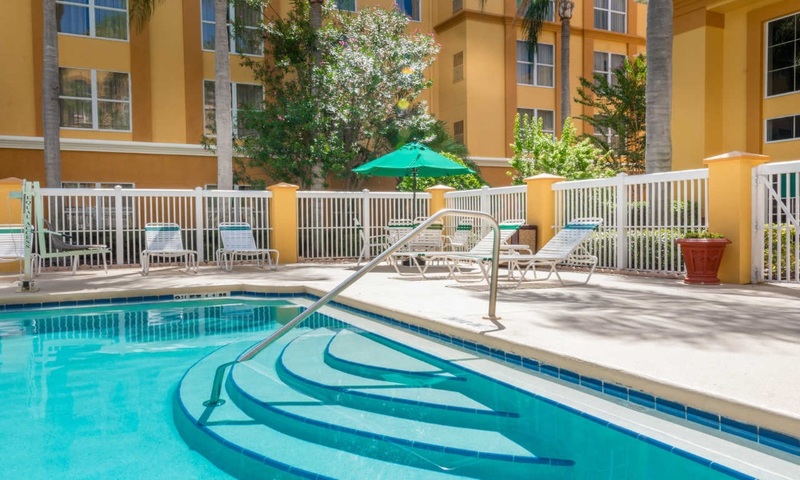 It's time to take a breath of fresh air and enjoy the beautiful activities Orlando has to offer. 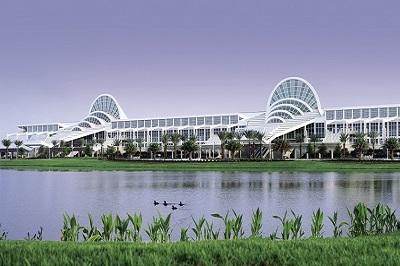 Although the city is best known for its world-famous theme parks, Orlando is full of unique outdoor attractions and sporting activities that everyone can enjoy. The Orlando nightlife scene has several new bars and clubs. Get ready to raise your glass at Orlando's best-featured bars which include: SHOTS Orlando, Wall Street Plaza, Elixir Orlando,Vintage Lounge and 3NINE At The Plaza. All children are welcome. Free! All children or adults stay free of charge when using existing beds. Extra beds are not available. Free! One child under 2 years stays free of charge in a crib. The maximum number of cribs in a room is 1. US$ 6.95 Property service charge per room per night. 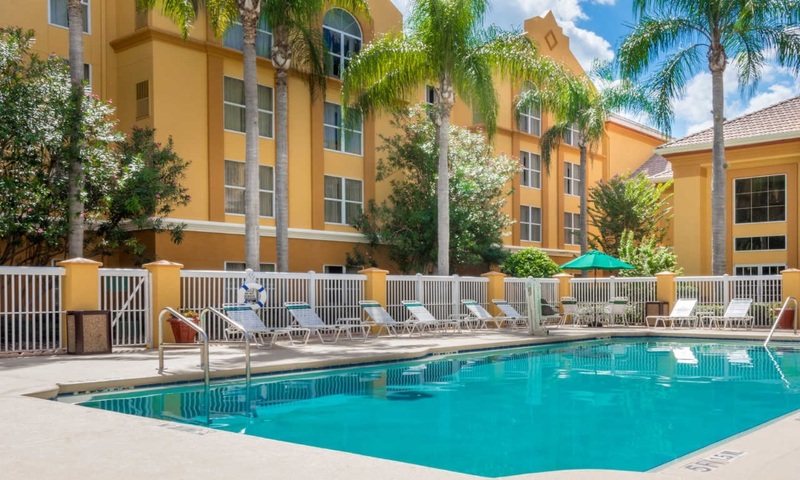 We needed a place close to Disney Springs were a relative lives, and wanted something a little more than just a hotel room. This place fit the bill perfectly. The layout of the suite would be perfect if you wanted to stay longer than we did (just 1 night). The staff was friendly, the hot breakfast in the morning as tasty. In particular, the coffee was excellent. We will stay here again the next time we are in Orlando. 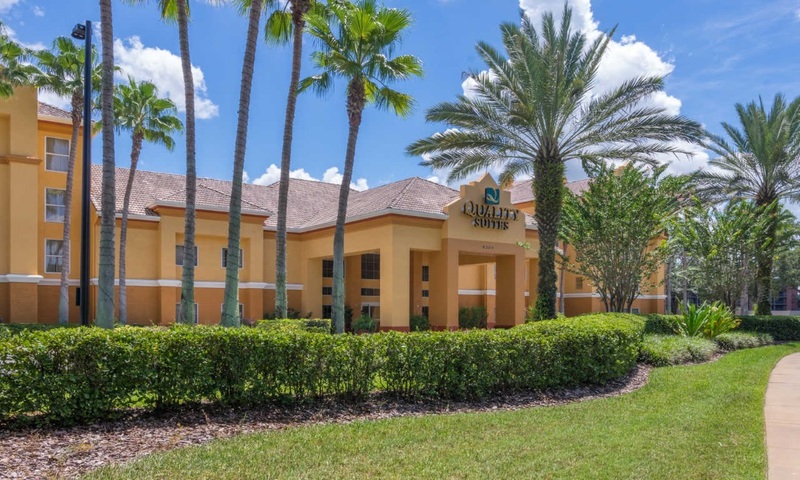 This is a great Quality Inn, especially if you need family accommodations and plan on visiting different attractions and parks in the area. 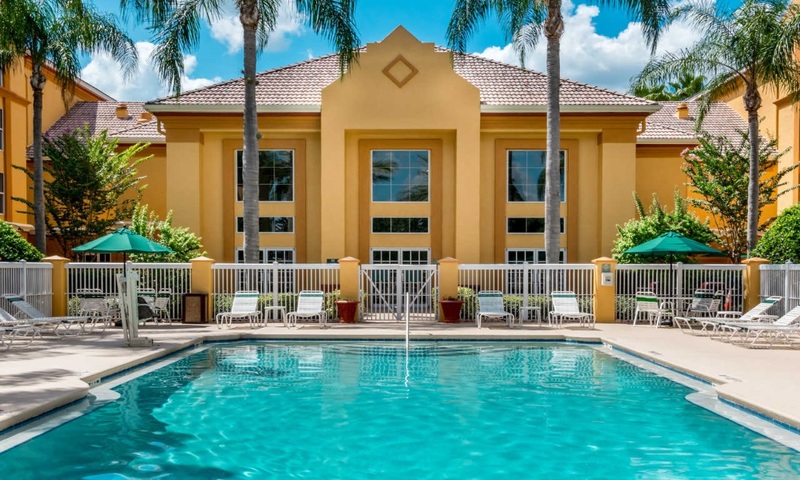 Start with the convenient location to Disneyworld, SeaWorld, AND Universal as well as several restaurants and shops close by. 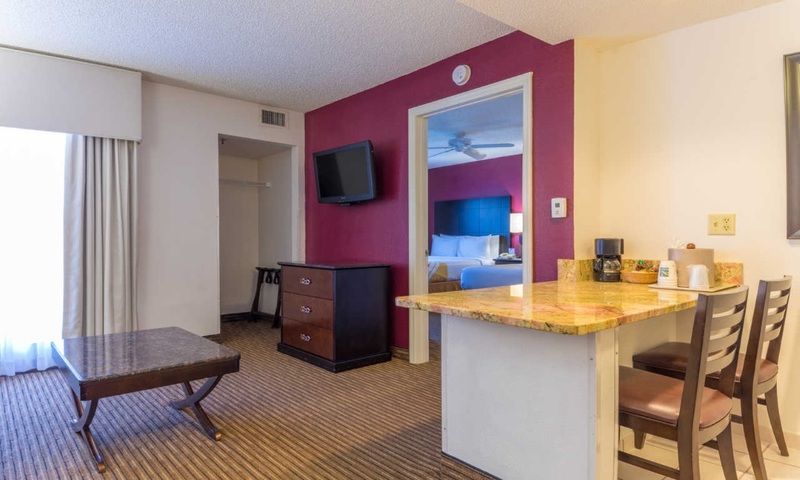 Each room has a living room area with equipped kitchenette and a separate bedroom and bath. 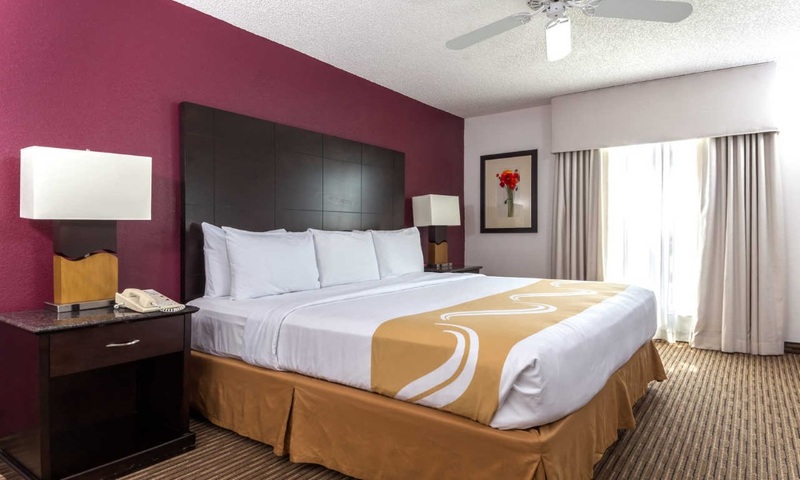 It was clean and comfortable and a great value for the rate charged. Add in the full hot breakfast that is included. Great service and all around great stay. Me and my parents and little sister took a trip to Florida to visit Disney world. The staff was very helpful and professional genuine nice people. The 2-bed suite was very high quality which includes a kitchen and a living room area. Lots of fresh towels and great maid service. Breakfast was very good reminds me of Golden Corral especially with Mickey waffles ^_^ nearby was a very good Mexican restaurant that I recommend called "El Patron" there very high-quality service and they also have great reviews. 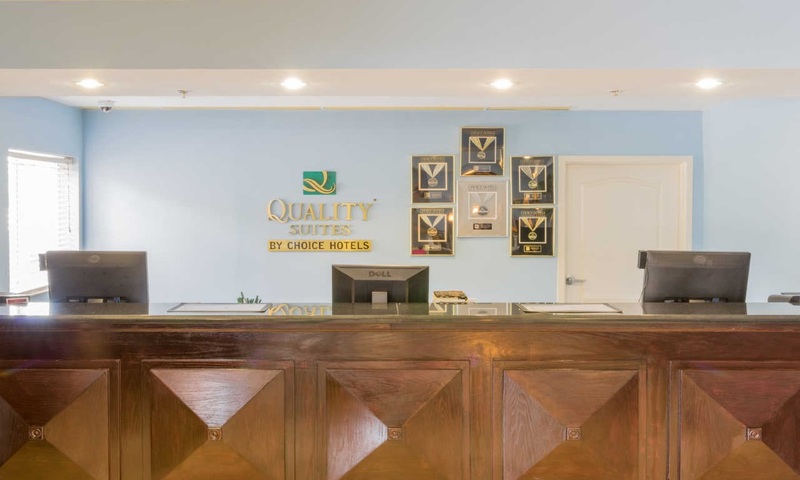 Quality suites is definitely the way to go for a fair price and great service. Avoid all motels if you're with your family most of them are very ghetto and disgusting. This hotel was exactly what I had hoped for at the price point! 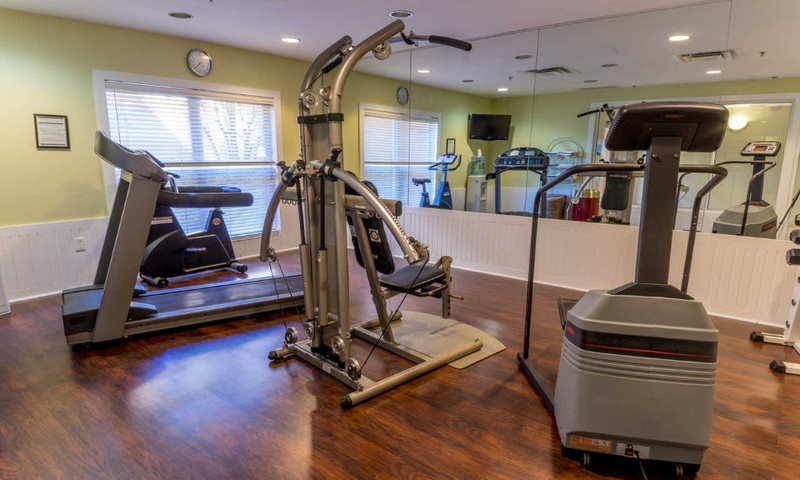 Very clean, friendly staff, Very convenient location, very close to parks. Staff was very helpful! Vanessa even remembered our name when we left after a week! Would definitely come back! This is my second stay here, and I seem to come back because of product. 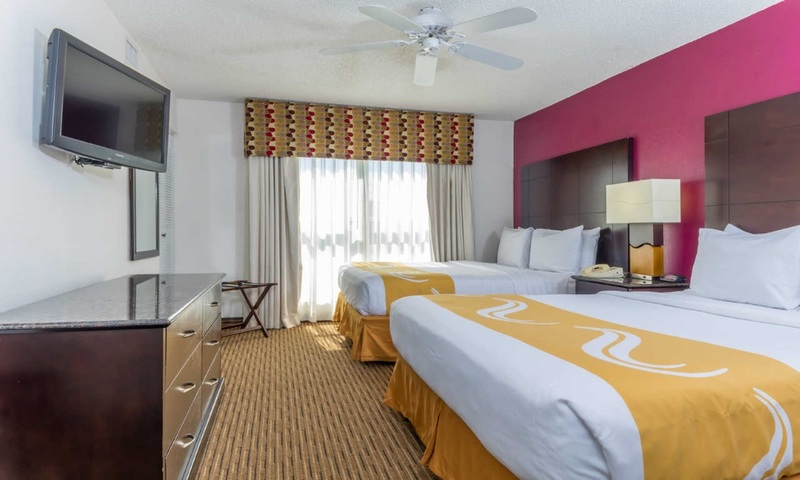 The rooms are clean, spacious and customer service is outstanding. Although I come to this area of florida a couple times a year, I usually have to budget myself. I was able to get a reasonable rate here so I jumped on it. Great place. Clean pool, great value. Hot breakfast was scrambled eggs and sausage all 4 days we were there. Kids loved the Mickey waffles! Everything was clean, staff was friendly. Would stay there again. 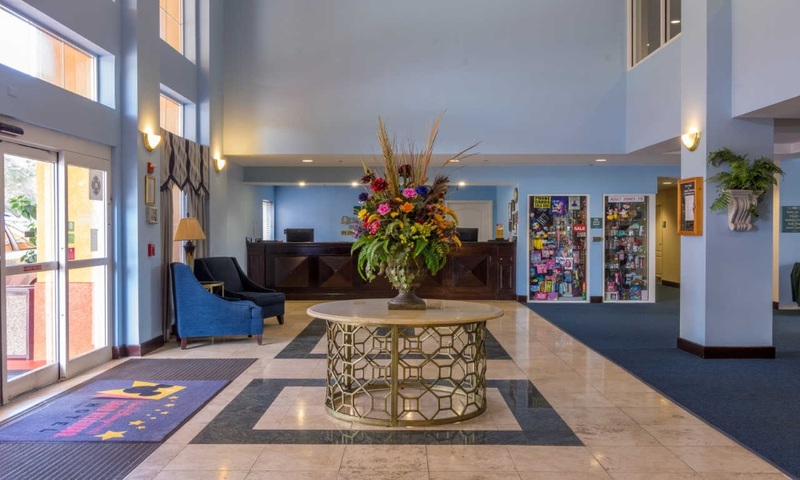 I love my stay here very friendly staff is a very nice individual will go beyond to help you out everyone else as well 5 stars thank you guys you made this trip for myself and my family very memorable highly recommended to everyone. 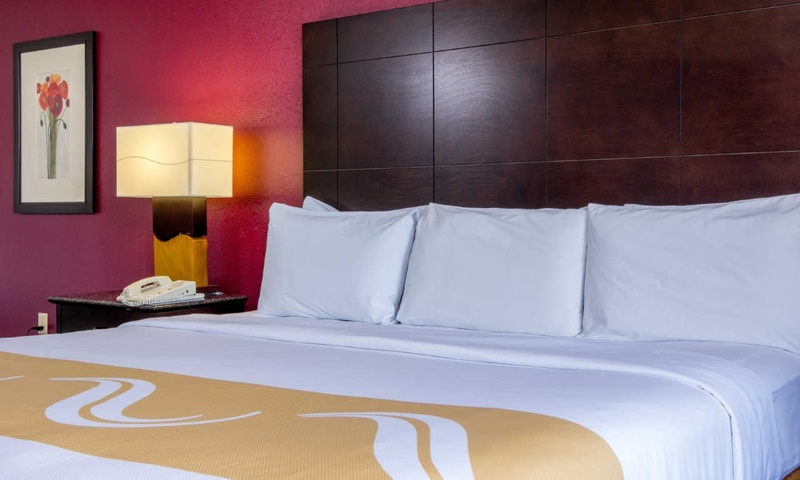 spacious clean suite, comfortable beds, & kids liked the swan-shaped towels on bed great location convenient to DW & many restaurants, nice selection at breakfast buffet & kids liked mickey waffles staff courteous.